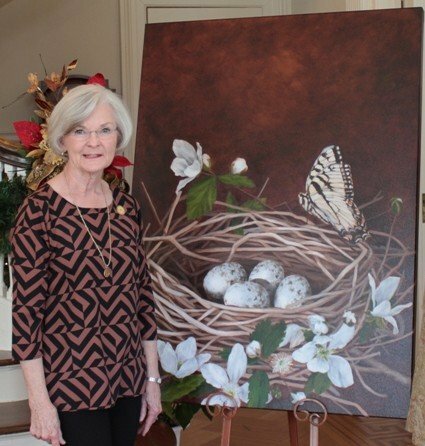 MONTGOMERY, AL- The “Alabama Nest” was unveiled at the Governor’s Mansion recently in a meeting with Amy Crews and First Lady Dianne Bentley and was installed last week in the Governor’s private dining room. 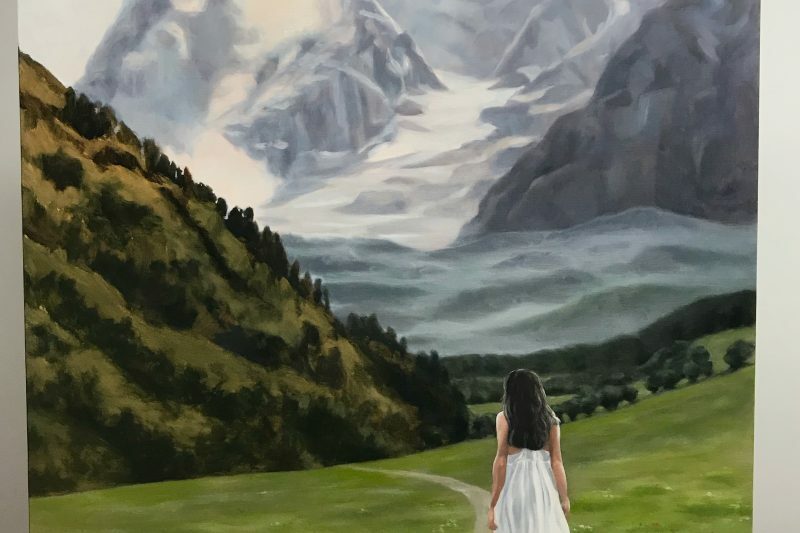 The nest symbolizes home and the oil-on-canvas painting by Birmingham artist Amy Crews will be on display in “The People’s House” for current and future first families to enjoy while in residence. · Blackberry blossoms – the state fruit is represented by the fruit’s blossoms that surround the nest. Artist Amy Crews was born in Atlanta Georgia but has lived in Birmingham for 16 years now with her husband Matt and their two children. 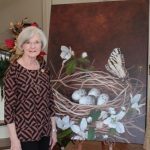 Among her corporate collectors are the Alabama Wildlife Federation, Children’s Hospital of Alabama, Energen Corporation, and the Birmingham Botanical Gardens. 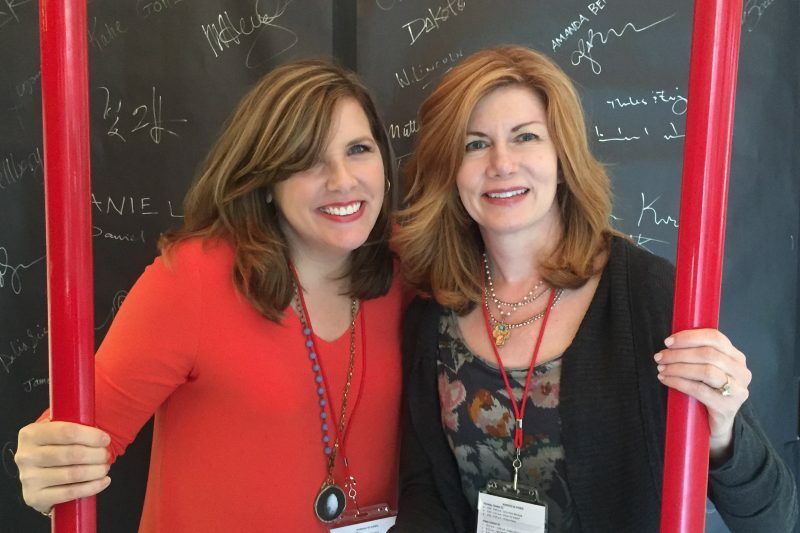 She has received numerous awards across the south and has been featured in several publications including Birmingham Home & Garden, Nashville Arts Magazine, StyleBluePrint and Southern Living at Home. Her body of work is varied but consists predominantly of flora and fauna subject matter with an emphasis on light and shadow. More about Amy and additional images of her work can be seen on her website www.amycrewsgallery.com, on Facebook and instagram @amycrewsartist.